If you thought gaming PCs had to be big, heavy and ugly, then think again. 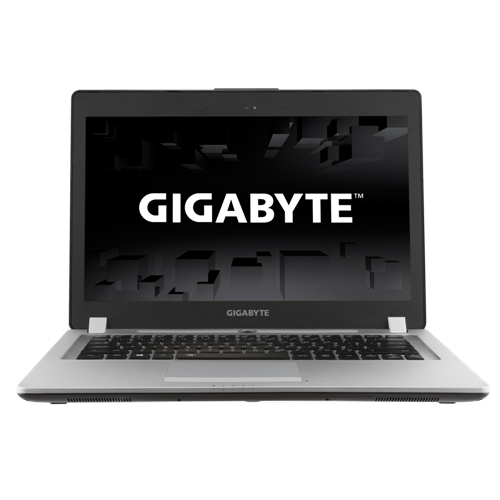 The Gigabyte P34G v2 can't hold a candle to most £1,000+ Ultrabooks in the battery life or looks departments, but it's a discreet and portable laptop with serious gaming power. Play recent games at decent settings no problems, and the P34G v2 will even double as an occasional portable laptop if you want too. However, it's loud as anything when you push the CPU/GPU, but the amount of power squeezed into this small and fairly light laptop is seriously impressive. It is 33.5x23.5x1.7cm and weights 1719grams. 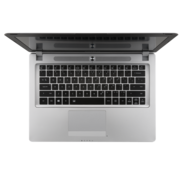 The viewable screen is 31x17.5cm which gives the notional diagonal imperial measurement of 14inches. The screen is full HD 1920x1080. 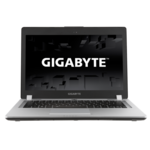 This is the latest small and powerful option from Gigabyte who are best known for their Motherboards. They do however make some rather nice powerful notebooks that may even satisfy the lust for speed of the modern gamer. The P34G v2 finished next to last in our grueling battery rundown test, lasting just over four hours. The Razer Blade showed almost three hours more stamina. 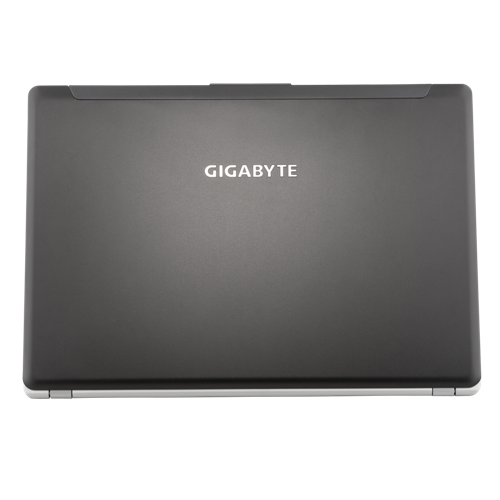 The Gigabyte P34G v2-CF2 is neither the fastest nor the flashiest gaming system you can buy. But at its price point, it has a good deal to offer those who don't have a great deal to spend—everything from a spiffy screen to a slim and light design. The Gigabyte P34G uses an Intel Core i7 with a clock rate of up to 3.2 GHz. 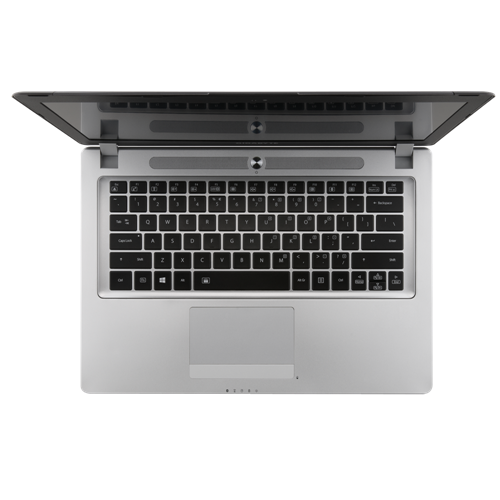 It has 8 GB of RAM and a 128 GB SSD drive. The storage capacity is barely enough for most gamers and they will probably need an external hard drive to make up for the lack of space. 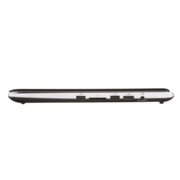 The P34G weighs 1.7 kg and is 1.7 cm thick. 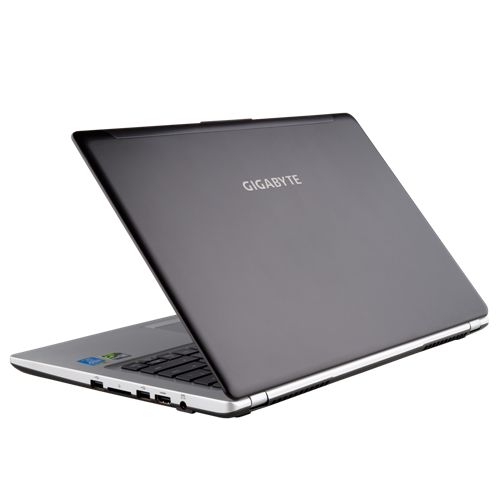 Its 14 inch display is driven by an NVIDIA GeForce graphics card. The graphics performance is sufficient for running demanding games in high resolutions and better than the 2013 Razer Blade's. The FHD (1920 x 1080) display is impressively bright and vibrant with sharp details. However, this is not a touchscreen laptop. The screen does not have much problems with viewing angles. It has a dark grey casing that looks professional, yet a little dull. 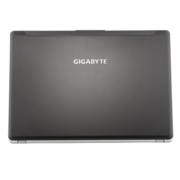 The Gigabyte P34G houses an Ethernet port, two USB 3.0 ports, two USB 2.0 ports, an HDMI port, an SD card reader and a headphone/microphone jack. This system has an option called "Fan tweak" which allows adjusting the fans. Like most gaming laptops, it sound like a hair dryer during gaming. 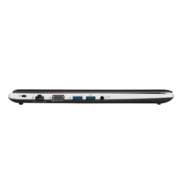 The battery only lasts about four hours while streaming videos and takes about two and a half hours to recharge.